It’s been a great month! We hope those of you that did the OH Detox are feeling great and ready to celebrate! Of course we don’t want to undo all of the great work we have done thus far, so we thought a few healthy suggestions for Super Bowl Sunday might help. We know that some of you are experimenting with eating a vegetarian diet, many of you enjoy the paleo style of eating and weight maintenance and some of you are just getting started on your journey to healthier eating. The Super Bowl snacks listed below fit the bill! They are naturally gluten-free and dairy-free as well! More importantly they are packed with flavor and won’t give you a food hangover the next day! The guacamole, pico de gallo and spinach artichoke dip are considered vegetarian. We even have an option on the paleo-chili to go vegetarian if you desire. In a large saucepan, heat the oil over medium-low heat. Add ground beef and saute until browned. Remove meat from pan and drain fat. To same pan add the onion, bell pepper, and garlic and cook, stirring, until the vegetables start to soften, about 10 minutes. Increase the heat to medium and stir in the vegetable broth, tomatoes, tomato paste, cumin, oregano, salt, and black pepper and bring to a simmer. Reduce the heat and simmer, partially covered, for 15 minutes. *If doing a vegetarian version omit the first step and add the beans at this stage and simmer for another 10 minutes. 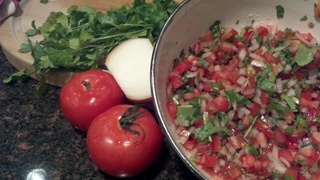 Use chopped cilantro and red onion for garnish. 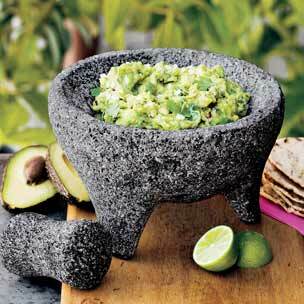 In a medium bowl, lightly mash avocados, then stir in lime juice, tomato, jalapeno, garlic, red onion, and cilantro. Season with salt and pepper. Serve with cucumber chips, celery sticks or organic baked tortilla chips. Dice tomatoes, onions and jalapeno. Rough chop the cilantro. Put ingredients into a bowl. Add the salt and lime juice and mix well. You can serve this immediately but it tastes better after it’s had a couple of hours to let the flavors mingle in the refrigerator. Serve with organic corn chips, cucumber chips or jicama chips. If dairy-free isn’t an issue for you, feel free to substitute parmesan for the nutritional yeast. Drain the artichokes and spinach well then add them to the bowl of a large food processor fitted with an S-shaped blade or into a Vitamixer. Add in the rest of the ingredients, and use the “pulse” or variable speed button to combine into a chunky dip. Blend to your personal preference. For best flavor allow dip to chill for at least 3-4 hours before serving. Enjoy yourselves and the big game!